A Comprehensive Resource for Families to Plan. Help protect and improve the future lives of entire families with this essential financial planning guide, ideal for parents of a child with a disability and service providers who support them. Developed by two financial planning experts who also have family members with special needs, this one-of-a-kind book is an absolute must-have as parents and other caregivers plan for the lasting financial independence of their families. 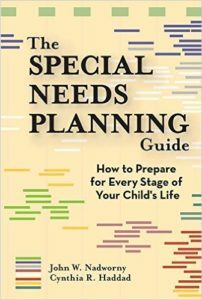 Included are all the tools families need to create an effective action plan for their finances: planning checklists and forms, a helpful glossary of financial terms, "planning pointers" that help readers remember key points, and extended case studies dramatizing other families' evolving challenges and solutions. Plus, the CD-ROM in the back of the book contains a helpful Financial Planning Timeline and a printable Letter of Intent that lets parents communicate key information, concerns, and desires to future caretakers.